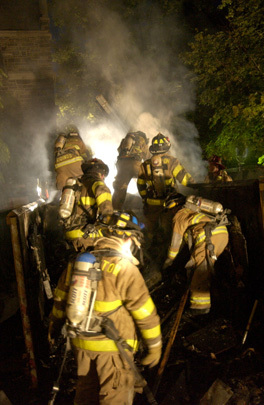 IT COULD HAVE BEEN WORSE: When a dumpster adjacent to Holder Hall on the Princeton campus caught fire last week, a fast response by all companies of the Princeton Fire Department made sure the flames did not spread to the building itself. Princeton Township Committee unanimously adopted its 2005 operating budget Monday night, marking a six-and-a-half-cent hike over the municipality's 2004 tax rate. A plan to build seven homes on a heavily-wooded property on Snowden Lane did not sit well with residents Thursday, when the proposal was heard by the Regional Planning Board of Princeton. Nothing was finalized, however, since the late hour forced the board to carry the hearing to July 13. A 53-year-old woman was sexually assaulted early Monday morning while walking on the Guyot Stream Walkway that runs between Witherspoon Street and Jefferson Road.